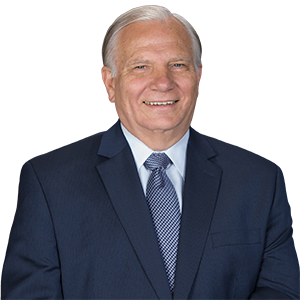 Pennsylvania State Senator Bob Mensch represents the constituents of the 24th District (including parts of Berks, Bucks and Montgomery counties) bringing to the state Senate more than 35 years of business and management experience, coupled with political leadership and public service. Senator Mensch was elected by his Republican colleagues to serve as Majority Caucus Chairman, a leadership position, for the 2019-2020 legislative session. As chairman he presides over Republican caucus meetings to discuss bills and amendments and to develop caucus strategy. He serves as Vice Chairman of the Veterans Affairs and Emergency Preparedness Committee and sits on the influential Senate Appropriations Committee. In addition, the Senator is a member of four additional committees: Health and Human Services; Game and Fisheries; Aging and Youth; and Labor & Industry. He co-chairs the bipartisan Senate Life Science Caucus, Economy, Business and Jobs Caucus, and the Community College Caucus. He also chairs the Legislative Budget and Finance Committee, which conducts studies and makes recommendations aimed at eliminating unnecessary government spending. Bob’s top legislative priority is ensuring the Commonwealth has economic development and tax policies that promote economic expansion and job creation and make Pennsylvania the place where business and industry want to be and individuals want to live. Bob is also committed to farmland and open space preservation, as well as improving transportation infrastructure both within the 24th District and throughout the state. Prior to his election to the state Senate, Bob served in the Pennsylvania House of Representatives for the 147th Legislative District. He worked on issues relating to telecommunications, prescription drug theft, unemployment compensation, alternative energy system tax credits, and permanent tax credits for volunteer emergency responders. In addition to committee assignments, Bob was selected and appointed by the Speaker of the House to the Children’s Trust Fund Board, the Speaker’s Task Force on Crime and Violence, the Commonwealth Debt Task Force, the Energy Task Force, and the Select Committee on Information Security. Bob previously served as a Marlborough Township Supervisor, and during his time as Chairman led successful efforts to preserve over 100 acres within the township. He was Chairman of the Upper Perkiomen Regional Planning Commission, where he began an initiative that implemented multiregional cooperation. He served in various leadership positions within the Upper Perkiomen Ambulance Association and transformed it into a fiscally responsible enterprise. He served in the U.S. Army Engineers Reserve from 1966 to 1972. As a husband, father, grandfather, executive and community leader, Bob understands the issues that are most important to the communities and families of the 24th District. A native of Pennsburg and resident of Marlborough Township since 1975, Bob is married to his wife of over four decades, JoAnn, who together have raised two children and now enjoy being grandparents to grandson Zackary.